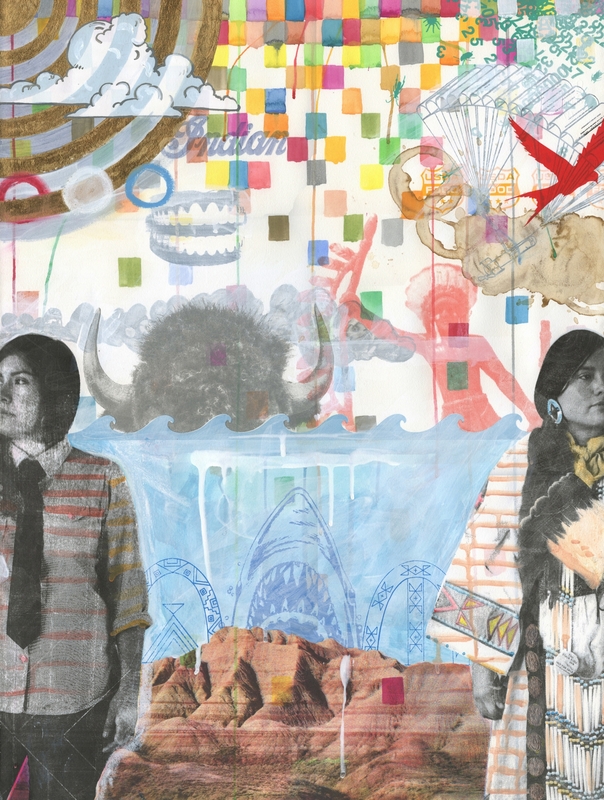 Dementia Americana is an exhibition of new artworks from three contemporary Native American Artists. Cannupa Hanska Luger, Marty Two Bulls Jr., and Micheal Two Bulls. 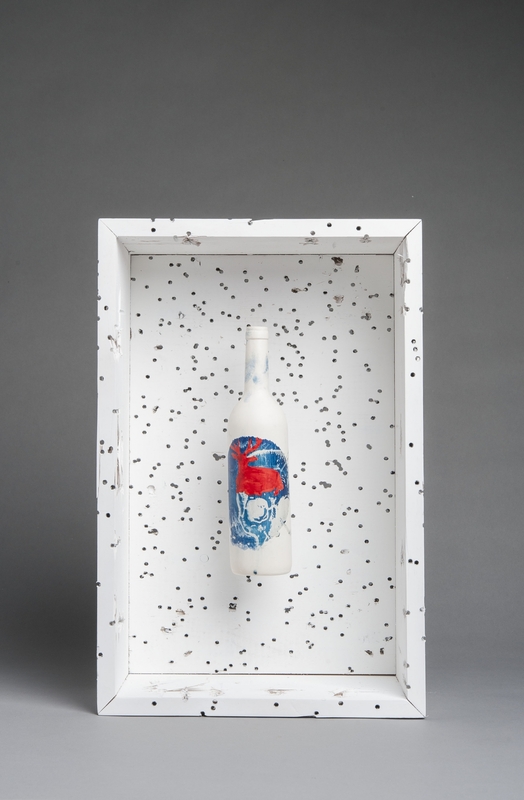 The artists explore the state of American aesthetics and the relationship to the current socio-political climate through mixed media, ceramic sculpture, printmaking and assemblage. Dementia Americana is the chronic disorder of memory, personality changes and impaired reasoning of American culture and its interpretation of history. The America that these three artists find themselves in is plagued by the aforementioned disease. A culture filled with contradictory narratives of freedom and oppression; citizen and immigrant; liberalism and conservatism. This disease affects the way America analyzes and interprets its own history causing it to often times repeat its dark past of genocide, thievery, slavery and discrimination. Each artist takes their own unique approach at addressing these contradictory narratives through their artwork with hopes of providing an alternative approach to evaluating and counteracting the Dementia Americana that plagues their nation. Cannupa Hanska Luger is a New Mexico-based, multi-disciplinary artist. Raised on the Standing Rock Reservation in North Dakota, he is of Mandan, Hidatsa, Arikara, Lakota, Austrian, and Norwegian descent. Using social collaboration and in response to timely and site-specific issues, Luger produces multi-pronged projects that take many forms. Through monumental installations that incorporate ceramics, video, sound, fiber, steel, and cut-paper, Luger interweaves performance and political action to communicate stories about 21st century Indigeneity. Marty Two Bulls Jr. is an artist and educator living and working in Rapid City, SD. He is an enrolled member of the Oglala Sioux Tribe and is full time art faculty at Oglala Lakota College in Pine Ridge, SD. Two Bulls is an interdisciplinary artist who utilizes painting, ceramic, printmaking and sculptural techniques to create his unique mixed media assemblages. The concepts of his work range from religious to political to current/historical social injustices, but his primary focus is in the aesthetic discourse.Two Bulls makes objects that challenge concepts of beauty and righteousness. He chases truth in his work and uses his art as a tool to engage society. Micheal Two Bulls is an interdisciplinary artist based in Rapid City, SD. Two Bulls is an enrolled member of the Oglala Sioux Tribe. Two Bulls prints and sculpture focus on concepts that deal with identity, history and place. These narrative works often draw from aspects of his own life. 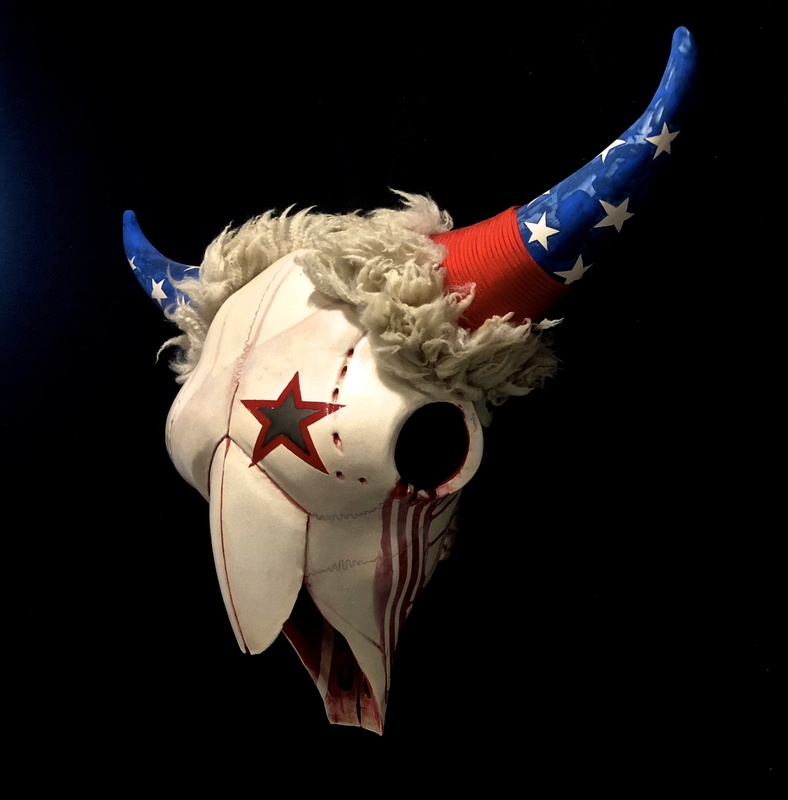 Through his work, Two Bulls strives to break through the racial barriers that relegate Native American art into “otherness” by asserting his own unique perspective, while touching upon universal themes that resonate with a wider audience.